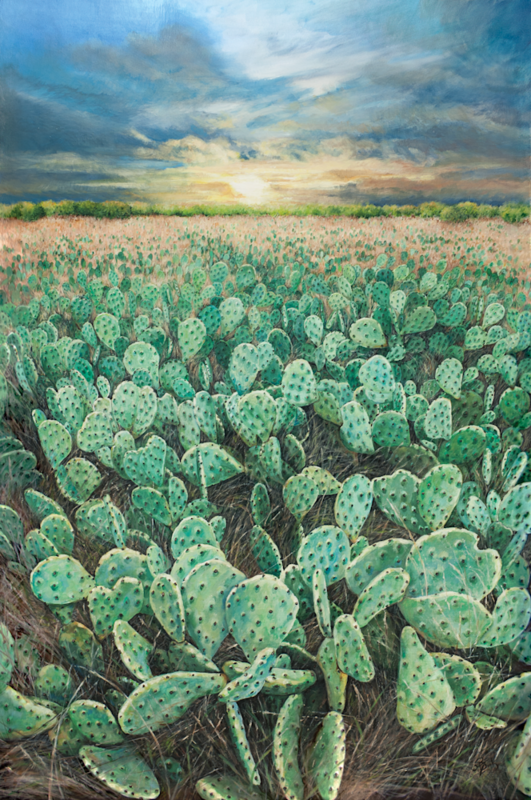 Giant fields of prickly pear cactus, undisturbed. This is a scene from the future Palo Pinto Mountain State Park in Strawn, Texas. Part of my husband’s Master’s thesis project was completed here and I went out with his team one weekend. I feel very fortunate to have been able to visit before road construction or any real amenities have been added. I saw the landscape in a near pristine natural state.